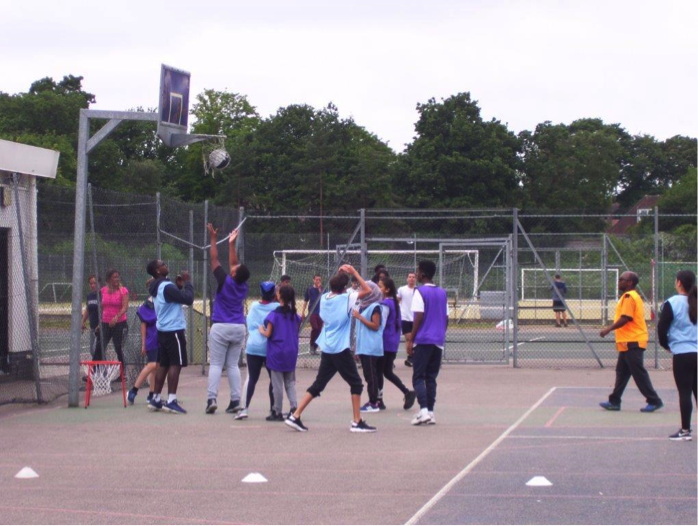 On Wednesday 20th June Oak Lodge School came to visit Blanche Nevile Secondary Department for a sports day. First, the visitors were welcomed with drinks and refreshments and then they joined the four Blanche Nevile houses. Everyone chatted in their teams and got to know each other, followed by a busy day of basketball, dodgeball and football tournaments. All the students played really well and there was brilliant teamwork between the two schools. It was fabulous to have a picnic lunch in the sunshine too. Hopefully next year Blanche Nevile will visit Oak Lodge for another fun day!